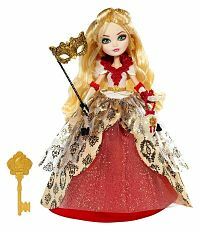 Ever After High Dolls for Girls ...Will You Choose Royals, Rebels or Roybels? 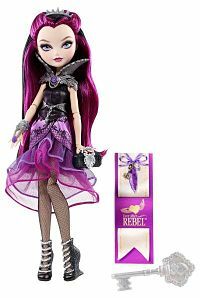 Home > Dolls > Ever After High Dolls for Girls …Will You Choose Royals, Rebels or Roybels? 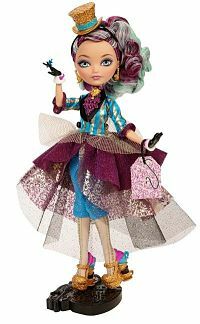 Ever After High Dolls for girls are really popular and I didn’t even know they existed! We had a visitor the other day and he brought his 5 year old daughter, Sophia. She shared her Ever After High Dolls with me. She explained who they were and all about their outfits. I was really impressed. If you don’t think a 5 year old can remember stuff, you are wrong. She knew all about them. 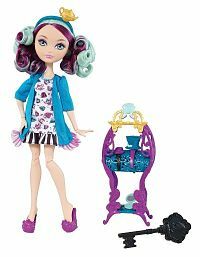 But that got me thinking about what all the dolls looked like and where to buy Ever After High Dolls for girls. 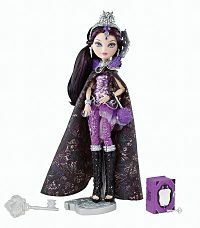 I was also interested in what the rest of the story was for each of the Ever After High characters. What I found I thought was really interesting. 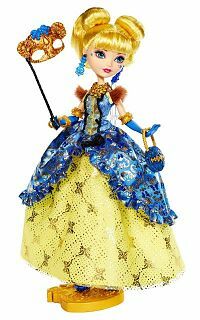 These dolls are the the teenage children of fairy-tale characters that attend Ever After High School. It’s a boarding school, so they are with each other all the time. These children are destined to follow their parents footsteps in order to keep the stories alive. But some of them aren’t happy about their destiny. There are two main characters, Raven Queen and Apple White. 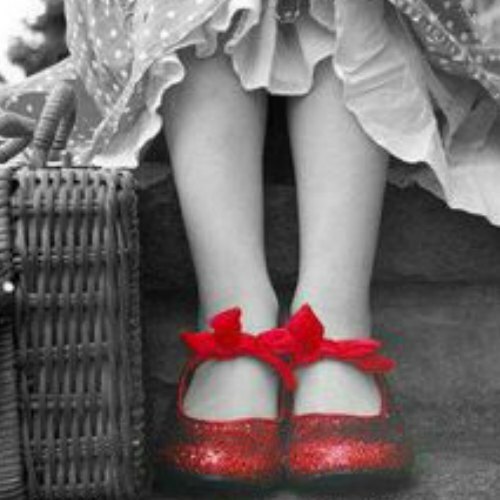 One is happy with her destiny, while the other wishes she could make her own. 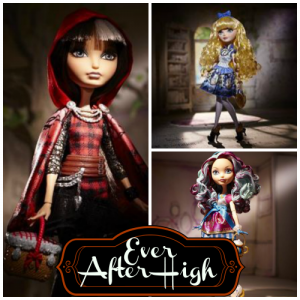 So the school is divided and it really creates a cute and appealing story that is set Ever After High. Check out this video that introduces you to their story. Here are a few favorite characters from that series. Raven Queen is the daughter of the Evil Queen from Snow White and the Seven Dwarfs, but also the daughter of the Good King (who was Snow White’s father). 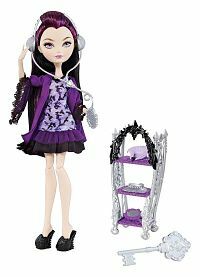 Raven has violet eyes and black hair with purple highlights. She is a friendly and down-to-earth girl who wants nothing more than to be true to herself. Apple White is the daughter of Snow White and like her mother she has skin as white as snow. 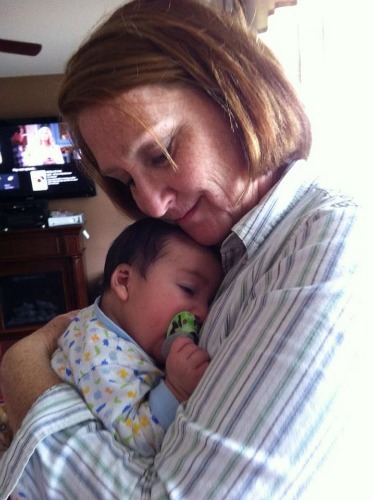 Her hair is light blonde rather than black like her mothers. Apple is cheerful, generous, a natural leader and a straight A student. 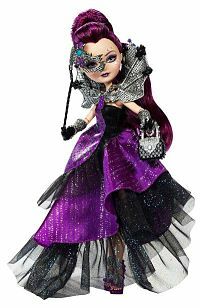 She is one of many beautiful Ever After High Dolls. She has the dream of becoming a great queen one day, even though there are many fears that go along with that. Her favorite subject is Kingdom Management and her least favorite is cooking. Apple’s “secret heart’s desire”, is for people to know her as the fairest on of all on the inside as well as the outside. 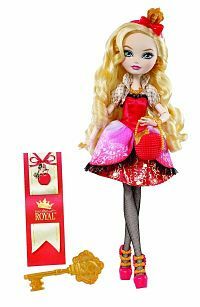 Apple is a Ever After High Royal because she understands and agrees with her per-determined destiny. 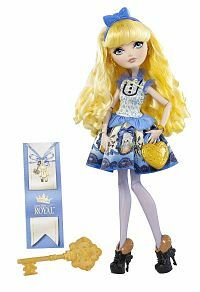 Blondie Lockes is the royal daughter of Goldie Lockes. She has blond curls with bangs and blue eyes. She really likes things just right, I guess you could call her a perfectionist. 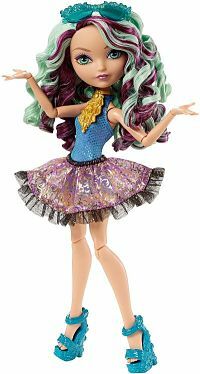 She is Ever After High’s authority on gossip, and runs a popular news MirrorCast called “Just Right”. Due to her mother being able to unlock the door to the Three Bears’ cottage, she has the power to unlock any lock. Blondie Lockes is a Royal since she is happy with her destiny and wishes not to change it. 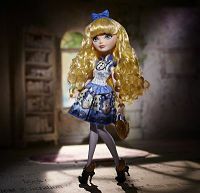 Madeline Hatter is the Rebel daughter of the Mad Hatter from Alice’s Adventures in Wonderland and Raven’s best friend. It’s easy to see why she is one of the Rebel students. She goes by the name Maddie and helps her father run a Tea/hat shoppe in Book End village. With her magical Wonderland Madness, Maddie can fit and pull anything out of her magic top hat, including her pet dormouse Earl Grey, she can speak Riddlish and, do things that are otherwise impossible, such as eating rocks and moving through walls. Maddie is very excited about being the next Mad Hatter.